One of the most famous locomotives in the world, the Flying Scotsman made her first famous non-stop London-to-Edinburgh journey 90 years ago this year. 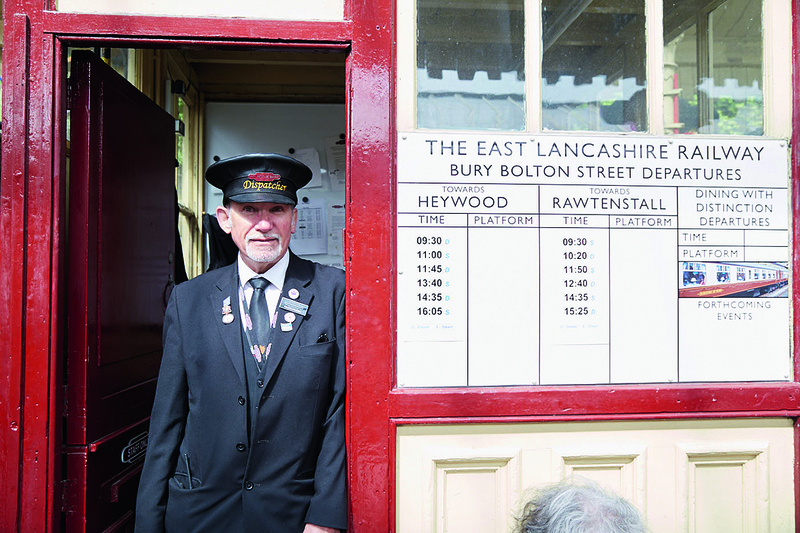 Mandy Appleyard took a trip to Lancashire to find out what it takes to keep this very British icon in full working order. 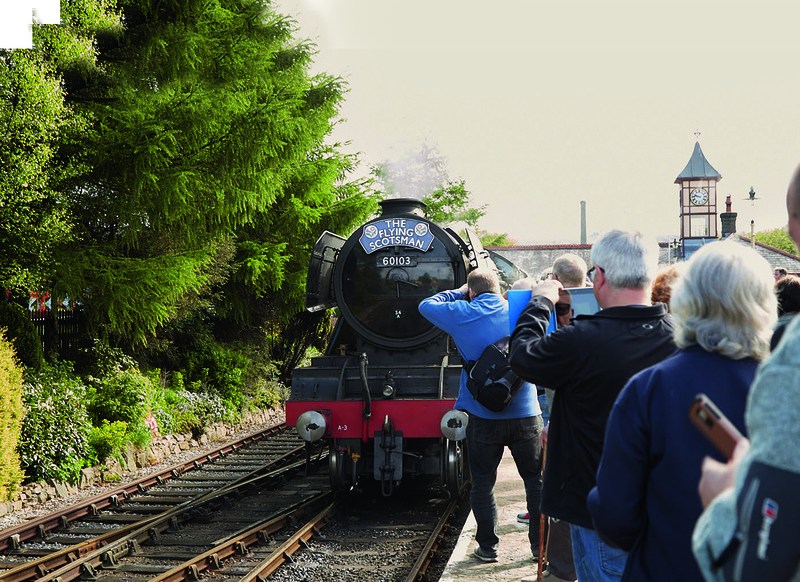 When the Flying Scotsman visited Bury’s East Lancashire Heritage Railway recently, hundreds of people flocked to buy a ticket for a 12-mile trip into the scenic Irwell Valley aboard the legendary steam engine. 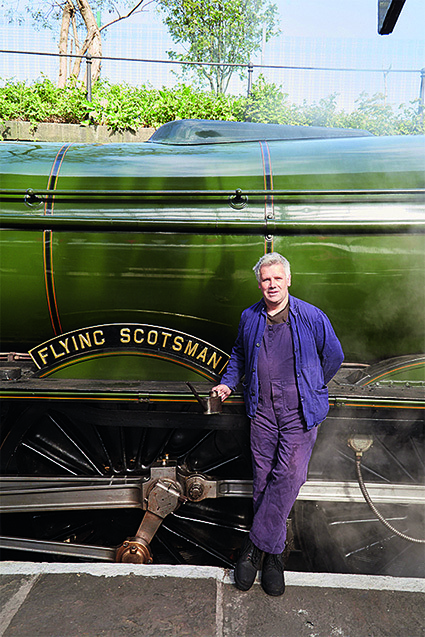 Designed by Sir Nigel Gresley and built in 1923 in Doncaster, she was given the name Flying Scotsman after the London-to-Edinburgh rail service which started daily at 10am in 1862. She broke records as the first locomotive to hit 100mph and captured the nation’s hearts as a proud symbol of British railway engineering, clocking up 2.5 million miles in her long and illustrious history. 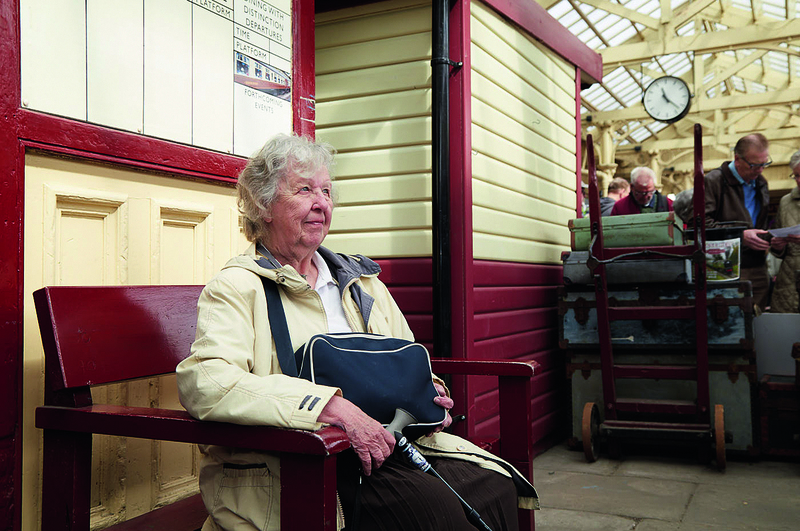 After retirement from British Rail in 1963, she did a tour of America and Australia before coming back to the UK. After a recent refurbishment lasting ten years and costing £4.5 million, she remains one of the jewels in the crown of the National Collection at the National Railway Museum in York, which owns her – and as a working museum exhibit she has garnered yet another record as the oldest mainline working locomotive on Britain’s tracks. 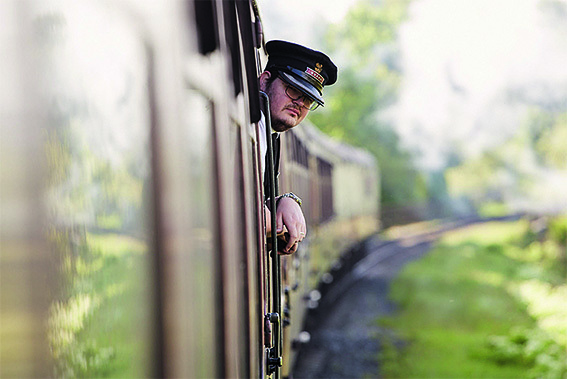 Volunteer guards manager Alex King grew up right beside the railway, and says it has always been a big part of his life. He is now responsible for keeping the train and everyone on her safe. “We make sure people get on and off without incident and they don’t hang out of the window too far. 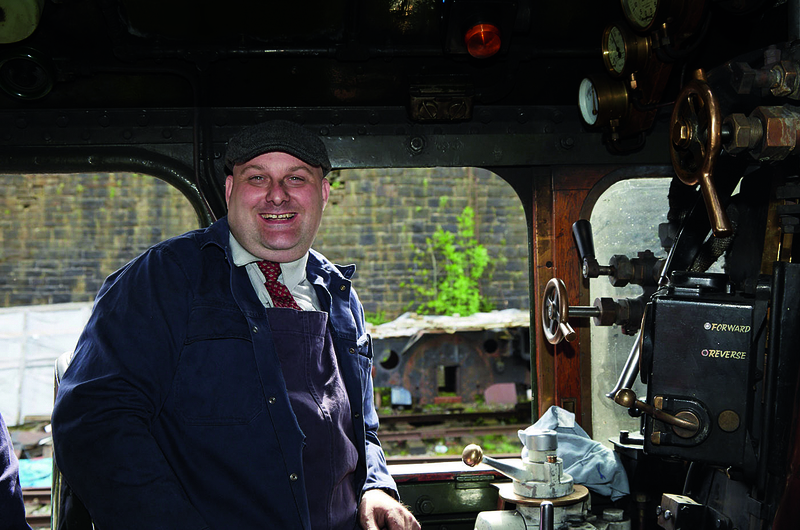 I have an emergency handbrake to stop the train if I have to, and look after the safety equipment,” he says. 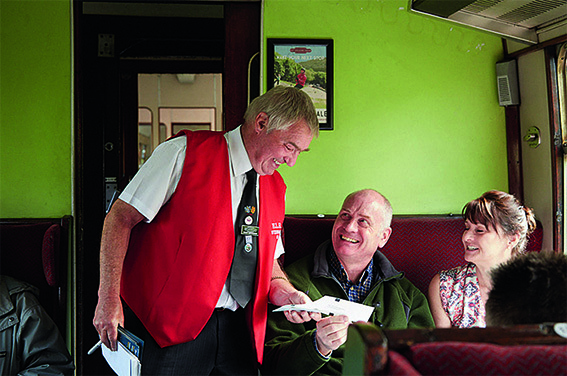 Robert Cunningham is one of eight stewards assigned to their own carriage and responsible for ensuring everyone enjoys their special day out. He’ll check tickets and be on hand to answer any passenger questions. In years gone by, these carriages would have includeda ladies’ retiring room, a hairdressing salon, an opulent Louis XVI-style restaurant and even, for a short period, a cinema car. Hundreds of fans come from all over the UK to catch a glimpse of the Flying Scotsman, jostling for the perfect position to get that all-important photo. The name plate and British Rail number, 60103, on her cab is the must-have shot. 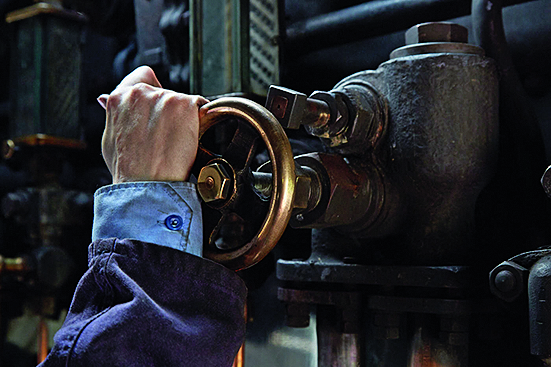 The beautifully preserved driving controls inside the cab are polished for the occasion. There is no steering wheel as such, as forwards and backwards are the only choices. Although the Flying Scotsman can do 75mph, today she is travelling at a sedate 25mph. 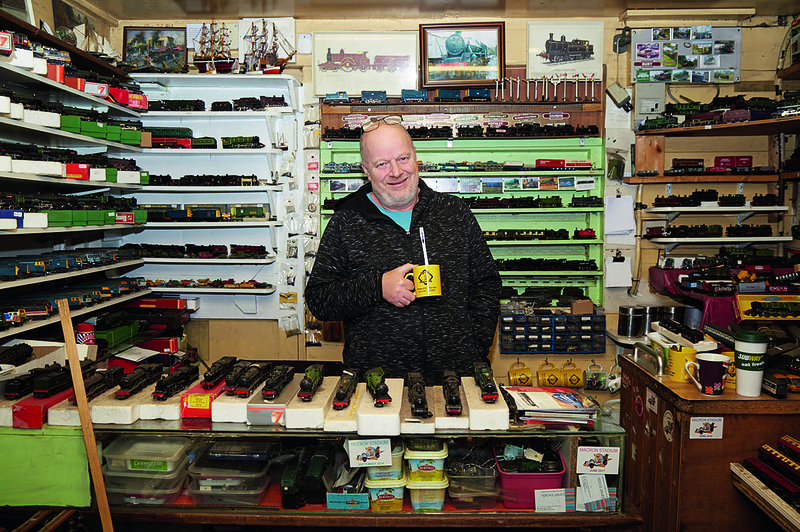 Underneath the arches at Bury Bolton Street station is this tiny shop selling model trains, magazines, train-themed jigsaw puzzles, old rail timetables and every imaginable accessory for the rail enthusiast. It’s a home from home for volunteer Ian Simmonds, who chose to be on duty in the shop today. It’s a long day for trainee fireman Mark Crompton. 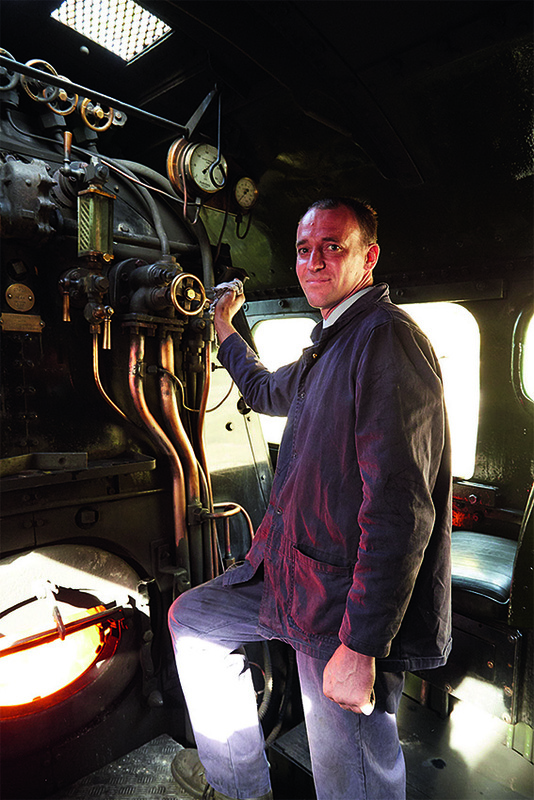 He helped Joanne and Paul to prepare and clean the engine this morning and will be on hand to cool down the furnace and clean the cab ready for its journey back to the engine sheds. “Because you love what you do, it doesn’t feel like a chore,” says Mark, who can’t wait to graduate to fireman. “Maybe I’ll be doing their job this time next year,” he adds with a grin.